Images by Patrick Temme. Used with permission. Great environmental portrait photography usually shows people in a situation they live in (or sometimes at work and play), that says something about who they are. Patrick Temme’s environmental portrait approach in his documentation work beautifully captured the grace and charisma of the people he encountered in Tigray, Ethiopia in Africa. Patrick Temme is a commercial photographer based in Germany who loves to take portraits of people in his free time. 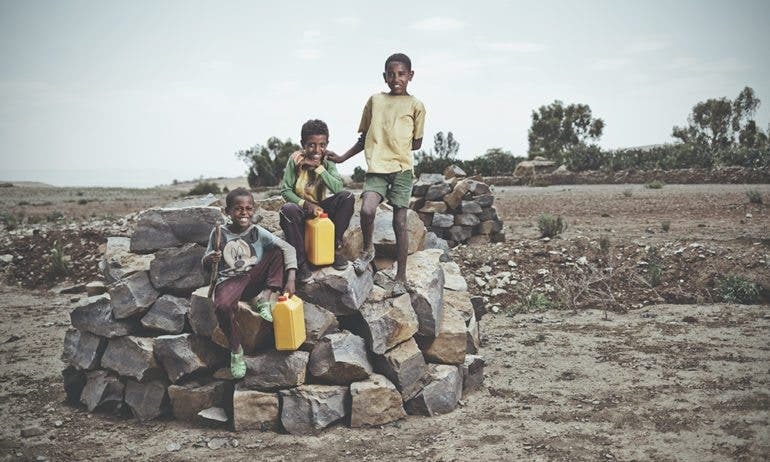 In 2015, Patrick joined the documenting team of Neven Subotic Foundation as the mission group traveled to Tigray, Ethopia to construct water wells and build sanitary facilities to improve the basic living conditions of the people there. The focus of the foundation was to help the poor children primarily, and emphasis of constructing wells at schools proved to be successful in not only providing access to clean water but also encouraging more local children to join the school. Patrick’s job was to document the entire process of the project and deliver photographs which will be shown as an outcome report to the donors of the project. Being a passionate portrait photographer and having natural interest in people and their culture, Patrick took this opportunity to approach the locals and capture some beautiful environmental portraits of them. He mentioned that his motivation came from the grace and charisma he observed in the people there and how connected they are to their land and culture. The photography tools used for this project were selected to enable easy and light travel. Patrick used a Canon 5D Mark II and a 35mm f2 lens for his environment portraits. Patrick used the 35mm perspective effectively to fit just enough width in the frame. This established the location and connection of the subject to the background, while maintaining a natural look in the portrait without excessive distortion. To balance the harsh sun, considering all locations of the shots were taken outdoors, he used a Canon 580 EX II speedlight with a softbox to ensure his subjects were well illuminated. Patrick also claimed his photography style was largely inspired by Annie Leibovitz, Ailine Liefeld, Sebastian Salgado, and Theo Gosselin. To find out more about Patrick Temme and his work, you may visit his website here.